Large magnetic loop as recorded by EIT in the Fe IX/X 171Å line. The temperature of this material is about 1 million K in the lower corona. The large loop on the right arches over an active region. 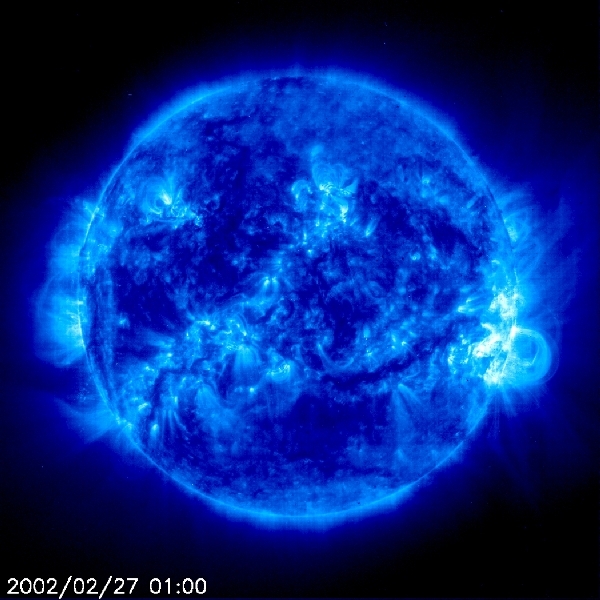 The extreme ultraviolet image enables us to see tight, loop-like magnetic fields that extend above the Sun’s surface around which charged particles are spinning (27 February 2002).